We am souring agency for socks and fashion accessories in Korea. Whatever you need regarding socks products, we can work for you. OEM/ODM is fine as well. If you make your own design, we can help you. of socks . As for price and designs , you will look for them easily and cheaply. -Color/design MOQ 10pcs-50pcs ..It's up to brands or quantity. -Lead time 7-10days for your place. If you want to see designs, please contact us anytime. We have many designs and brands photos. Our office is Ilsan in Korea. Gidechi Inc. is established in 2007. 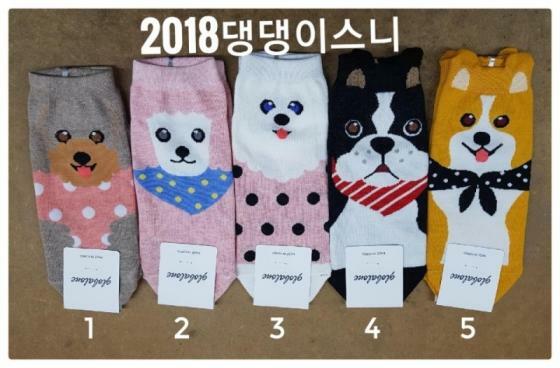 We work for sourcing and purchasing korea products regarding socks, Fashion accessories such as handbags , sunglasess, jewelries and fashion sundries made in Korea are our majors. As a sourcing agent , We're cooperating with many factories and distributors for wholesale or oem/oem in Korea market. Now we 're working togher with many countries of clients i.e. Janpan,Singapore,Hongkon,UAE,Sapain and North America. Looking foward to contacting you soon.